Twenty-six of Australia’s best are confirmed as starters at Beijing 2015, with Athletics Australia Selectors today declaring the selection of the initial green and gold contingent bound for the IAAF World Championships in August. Headlined by Sally Pearson (Qld, 100m hurdles), Kim Mickle (WA, javelin) and Jared Tallent (Vic, 20km walk, 50km walk), who all won medals at the championships two years ago, the impressively strong squad also includes Commonwealth champions Eleanor Patterson (Vic, high jump), Alana Boyd (Qld, pole vault) and Dani Samuels (NSW, discus throw), as well as Australian record holders Melissa Breen (ACT, 100m) and Alex Rowe (Vic, 800m). Set to join them are a bounty of national champions from the recently completed 93rd Australian Athletics Championships, including the Commonwealth Games finalist Jeff Riseley (Vic, 800m), IAAF World Junior Championships medallist Nicholas Hough (NSW, 110m hurdles), Youth Olympic Games silver medallist Brandon Starc (NSW, high jump), two-time NCAA champion Julian Wruck (Qld, discus throw) and Glasgow 2014 representatives Ella Nelson (NSW, 200m) and Lauren Wells (ACT, 400m hurdles). “The intention of the Selection Policy is to nominate the most competitive possible team to represent Australia, and following the Nationals this past weekend it is exciting to announce the initial selections for Beijing 2015,” Dion Russell, the Athletics Australia Chairman of Selectors, said. 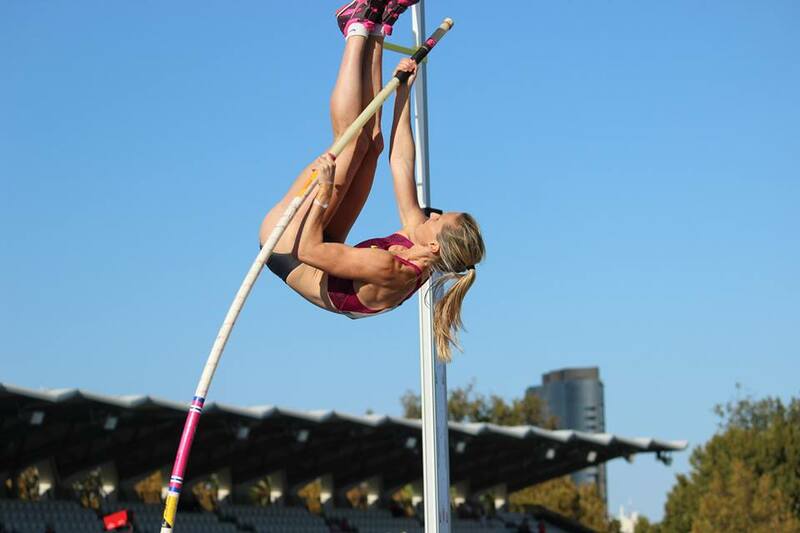 The Athletics Australia Selectors will next convene in the week commencing 18 May 2015. At this time, the final selections for the men’s and women’s marathon, 10,000m and 50km walk will be determined. All other events, excluding the 20km walk which will be selected in the week commencing 8 June 2015, will then be considered at the Final Selectors Meeting on 10 August 2015. This follows the close of the IAAF Qualification Period, providing athletes with the greatest possible period of time to stake their claim for Australian Flame selection. The 2015 IAAF World Championships, the 15th instalment of the event, will be held in Beijing (CHN) on 22-30 August 2015. It will mark the return of international athletics to the Bird’s Nest for the first time since the 2008 Olympic Games. The Australian Flame team at the 2013 IAAF World Championships in Moscow (RUS) was 46-strong, and won three medals (two silver, one bronze). Two years earlier at Daegu 2011, the squad placed 8th on the medal table with one gold (Pearson, 100m hurdles), one silver (Mitchell Watt, long jump) and one bronze (Tallent, 50km walk). The selection of Eloise Wellings is subject to ratification of her 5000m performance on 26 March 2015. We are awaiting notification from the IAAF. 13 of these selected athletes have achieved the IAAF qualification standard and also won their respective event at the 2015 Australian Athletics Championships. A further 13 athletes holding priority status have also been selected on the basis of having at least one IAAF qualification standard.